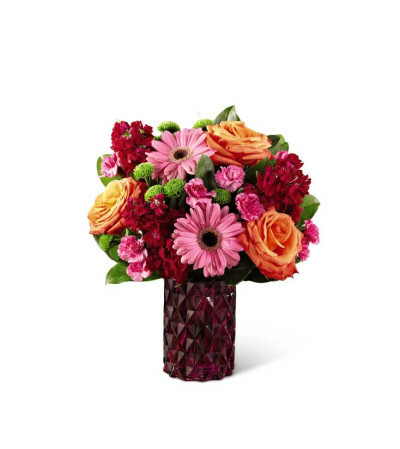 Brighten up any springtime occasion with this bouquet that blooms in rich jewel tone colors. 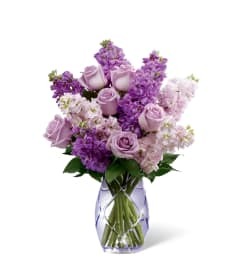 This mixed flower arrangement is sure to attract plenty of admiring attention with Gerbera daisies (in Good), stock, carnations and roses (in Better, Best and Exquisite) and more beautifully hand-arranged in a glass vase that sparkles like amethyst colored gemstones. 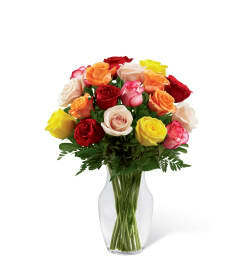 BETTER bouquet is approximately 13"H x 13"W.